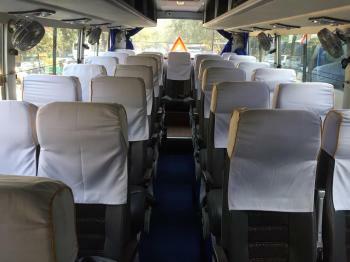 For all your personal or business travel expeditions, the mini bus offered by Punja Sahib Transport Co is what you need. We maintain a large fleet of mini buses that area available for all your travel journeys in anywhere across the country. All our mini buses are serviced on time and offer great mileage to provide value for money. You can contact us anytime or visit our office in New Delhi, India to get a mini bus on hire at an affordable price.